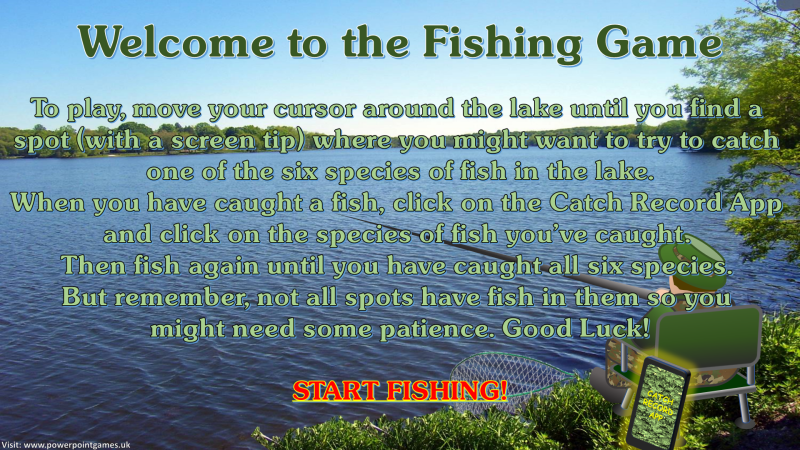 In this wide-screen fishing game, move your cursor around the lake until you see a screen-tip to try a particular spot. 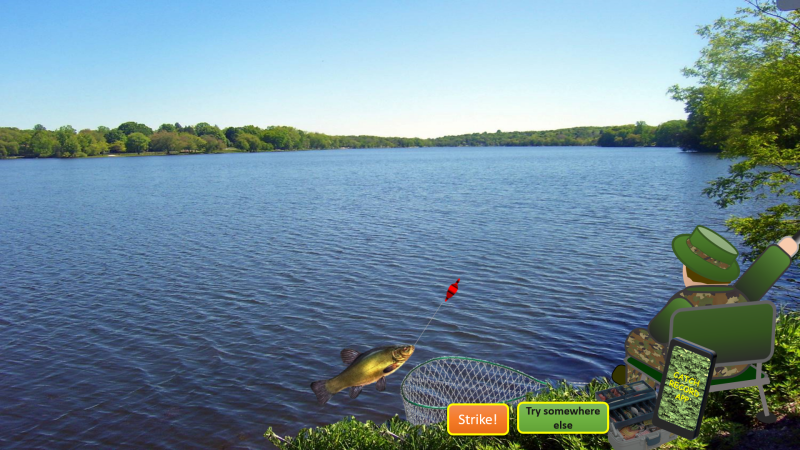 Click to cast to that spot and then wait to see if you get a bite (you won’t always). When you do, strike until you hook the fish and bring it in. 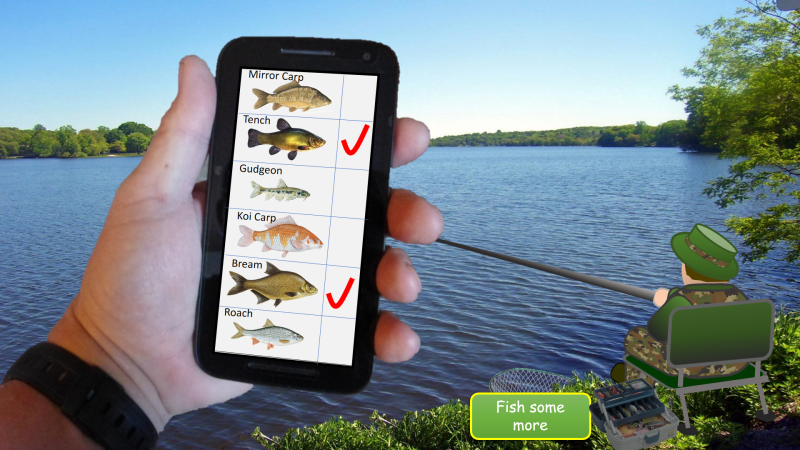 Once you have a fish landed in the net you can tick it off on your ‘fishing catch app’.